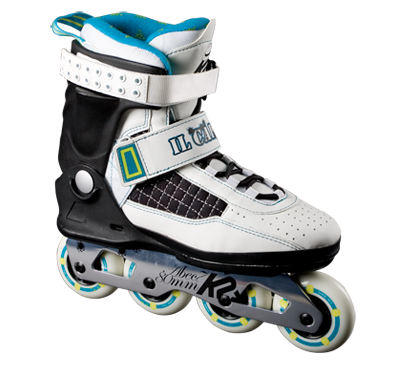 The Il Capo is one of the most unique skates in our 2009 collection. With parts Aggressive and parts Commission, this 247mm framed skate is quick edge to edge, offers the most ankle support of any K2 skate model and can grind a little to boot. The 80mm Hyper Concrete wheels and ILQ-7 bearings create a perfect hybrid street skate.